What’s New! – Ranger City Riders Snowmobile, ATV/UTV Club, Inc.
2014 Wisconsin Act 142, effective July 1, 2015, expanded the snowmobile trail pass requirement to include snowmobiles registered in Wisconsin and increased the nonresident snowmobile trail pass fee. Beginning with the 2015-16 snow season, all snowmobiles operating on a Wisconsin snowmobile trail or corridor must display a valid snowmobile trail pass whether registered in Wisconsin or another state. a snowmobile owned by the U.S., another state or political subdivision thereof if the owner’s name is displayed on the cowling. 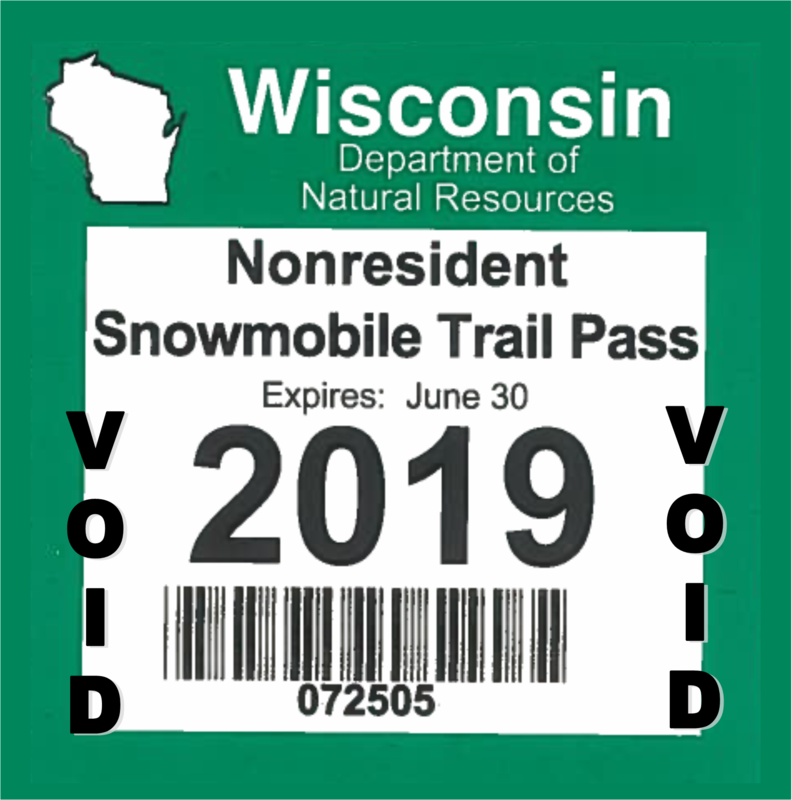 The snowmobile trail pass fee is dependent upon whether the snowmobile for which you are purchasing the trail pass is registered in Wisconsin and whether the owner of that snowmobile is a member of a snowmobile club and the Association of Wisconsin Snowmobile Clubs (AWSC). Trail pass fees are non-refundable. You will need your Wisconsin registration number or, for a nonresident snowmobile trail pass, the make and model. Wisconsin snowmobile trail pass for club members ($10) – for a snowmobile registered in Wisconsin and owned by a person who is both a member of a snowmobile club and a member of AWSC. Passes may be ordered through the AWSC website or their office in DeForest. Trail passes are delivered by US mail. Please visit www.awsc.org for more details. Wisconsin snowmobile trail pass ($30) – for a snowmobile registered in Wisconsin. Available online, or at any DNR license sales agent. All Wisconsin snowmobile trail passes will be shipped by US Mail within 2 business days to the address specified. A temporary operating receipt is issued when orders are placed online and at DNR license sales locations to operate legally on snowmobile trails. Carry the receipt with you until your pass is delivered by the US mail and affixed to your snowmobile’s windshield. Nonresident snowmobile trail pass ($50) – for a snowmobile registered in or in the process of being registered in another state, province or country. Available online, or at select agents or by calling WDNR at 1-888-WDNRINFo (1-888-936-7463). A temporary operating receipt is issued when orders are placed online and at DNR license sales agent locations to operate legally on snowmobile trails. Carry the receipt with you until your pass is delivered by the U.S. Mail and affixed to your snowmobile’s windshield. Owners of snowmobiles 35 years or older and registered as antiques are no longer required to display a trail pass while operating on a public snowmobile corridor. To legally operate the antique snowmobile registration decal must be prominently displayed on both sides of the cowling.